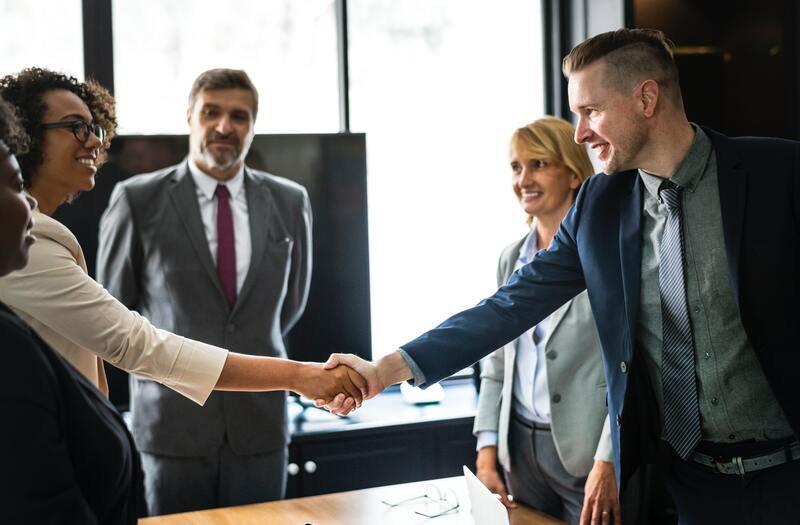 To see exactly how companies can use empathy to deliver more value to their customers or end consumers, let’s take a look at eight real-world examples of how organizations have used Digsite to deepen empathy and, as a result, achieve better outcomes. Traditionally, qualitative research methods that focus on empathy have been expensive, complicated and time-consuming to conduct. Sometimes, it’s easier to make assumptions or simply ask yes and no questions instead of really drilling down to find out why customers think the way they do. The good news is that it’s easy for companies to develop empathy. They just have to make it a priority and keep it top of mind throughout their research processes. How Do Companies Develop Empathy? Developing empathy starts with understanding the everyday problems consumers face. When you engage with consumers to truly understand what the problem is, your team can use divergent thinking to generate potential solutions. Everyone on a research team veers off-path with their own ideas using creative problem-solving to figure out the best way forward. 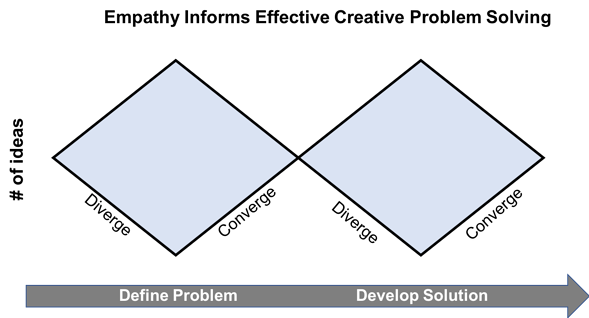 Once you identify solutions to a known problem, your team can use convergent thinking to test multiple ideas and narrow down your focus on what the best solution is as you build. By using empathy when testing solutions, you often you identify new problems that weren't addressed with your ideas, or new ways to solve consumer problems. If you don't employ empathy techniques in testing solutions, your team might kill good ideas that need refinement or move forward with ideas that could have been vastly improved. This is where agile qualitative research enters the equation. Whether you know the problem or have some possible solutions in mind, you can use agile qualitative research to build empathy as you identify the issue that’s bothering your customers or figure out the solution to their problems. Does empathy need to be built in person? Instead of conducting research in person, innovative technology solutions like Digsite help companies gather the insights they need using an agile insight community platform that mimics social media. By moving the process to computers and smart devices, companies have the flexibility to a wider variety of questions, capture behavior through photos and video, and ask follow-up questions more efficiently. This means teams can go from kickoff to results in a matter of days—not weeks. And just about every empathy technique that is used in-person can be applied in these type of online environments. Developing empathy starts with looking at how consumers behave, what they say, what they do, what they think and how they feel, among other things. Since agile qualitative research enables you to ask lots of questions quickly—and iterate your research based on customer feedback—you can develop deeper levels of understanding about what makes your customers tick. In fact, agile research moves back and forth between divergent and convergent thinking. You diverge to find the problem then gradually converge once you identify it. Then you diverge to find the solution and gradually converge as you identify it. Repeat the process until you’ve figured it out perfectly. Now that you understand the importance of empathy and how companies can use agile qualitative research to get a better understanding of their consumers, let’s take a look at specific of examples of how companies have built empathy directly into the testing process. Empathy helps organizations get a better understanding of the exact kinds of products customers want. It can also help companies improve processes, services, product packaging, marketing campaigns, and more. A company that makes products for hospital administrators used Digsite's agile insight community platform to connect with a targeted audience: decision makers at hospitals. Developing customer empathy starts with talking with the right people. During their research sprint, they asked participants about their purchase habits, preferences and specific past experiences. Using a whiteboarding tool, they were able to drag icons to show the steps they took, and elaborate on pain points, frustration points, satisfiers and delighters at each step. Researchers were able to follow up with ideas on messaging and naming, leveraging the empathy and understanding they gained from Digsite. They asked participants whether certain ideas met their needs and continued iterating based on all the feedback they received. A company wanted to produce a new snack item for a specific time of the day (e.g., a muffin for breakfast). They asked consumers to change their routine and try the new product instead, documenting their experiences. When participants explained what they thought of the product and how the changes to their routine made them feel, researchers got deeper insight into what the experience was like. This enabled them to put themselves in the shoes of their target customers—both functionally and emotionally. This empathy research gave them the foundation they needed to develop new and better solutions. A company was developing a new pregnancy product for women who weren’t trying to get pregnant. Some of these consumers were dealing with feelings of worry or guilt, and the company wanted to meet their needs as best as they could. The wrong packaging colors or imagery could potentially have a devastating impact on the consumer experience. Using Digsite, the company asked research participants to select images that portrayed their experience. Participants were then asked to explain why they picked specific images. This gave the company insight into how consumers felt in-store and why consumers felt the way they did. This deeper context simply isn’t possible to get when participants are only asked about how they feel. A company developing a new home improvement product talked to 35 participants on Digsite to find out what they were struggling with in their yards. Each participant narrated a video tour of their yards on their phones, talking about what they liked and didn’t like about certain products. As a result, the research team was able to hear what consumers thought of products while seeing them active in their yards. This enabled them to learn how both factors played off one another as they shared their experiences. Digsite provided video analysis tools that made the whole research process easy to analyze. With instant transcriptions, teams were able to create video clips and rapidly share them with their colleagues to help everyone develop empathy for their target audience. Younger audiences are often less likely to participate in in-person research. One college planning website was able to drive engagement among the younger crowd by using Digsite to facilitate an online discussion about how each user felt about the site. They used a typical focus group technique called a projective exercise to help understand unarticulated feelings. As an example, prospective students were asked if planning for college was like going on an amusement park ride, which ride would it be and why. This helped dive deeper into participants feelings. They also were able to see the ride other participants selected and talk about whether they felt that way too and why. This deeper emotional context enabled the company to understand the key elements needed to be included in an effective message that this audience would relate to. 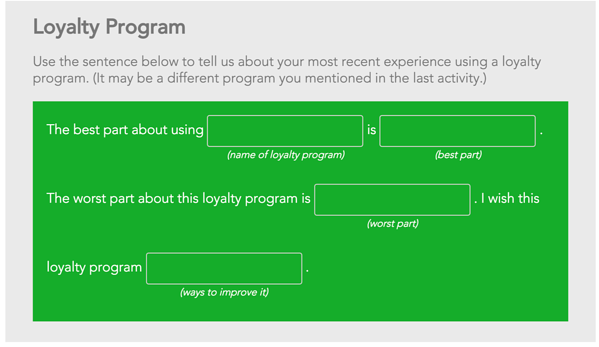 Seeking to improve the customer experience, an oral care company used a Mad Libs-style fill-in-the-blank activity within Digsite to see what consumers liked and didn’t like about an instructional video for a new product. In the exercise, they were asked to describe certain characters in the video—like a mother and a doctor and ask how they were feeling. This helped the company find out how authentic the video was and whether their target audience was able to empathize with any of the characters. Does anyone get excited about paying a utility bill? Probably not. Still, one utility company wanted to make the experience as pleasant as possible for their customers. 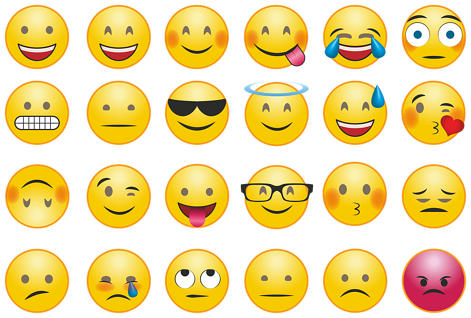 To do this, they used Digsite to conduct an emoji activity to gauge how customers felt while paying their bills. After selecting the emoji that fit them, consumers spoke about why. This dramatized their feelings in an accessible way, giving the company the empathy needed to update the bill-paying experience and make it more enjoyable. A company in the pet services space was developing a new service for its customers. They needed to get closer to pet owners to understand what pet ownership means to them. The company used Digsite as part of a design sprint where they defined an opportunity space and ideated solutions. To prepare for the team onsite meeting, they had consumers share photos and videos that reflected the relationships they had with their pets. The sprint team used the results to gain empathy on what consumers wanted from their relationship with their pets, and how that impacted key moments when services were used. The result was a successful Sprint with team consensus on the biggest customer pain points and ideas for new services that would help them differentiate in-market. Develop Empathy for Your Customers and Get to the Next Level! The more empathy you have for your customers, the easier it will be to target them effectively. With empathy, you’ll know exactly what customers are struggling with—and you can take proactive steps to develop solutions to those problems. While it might have been harder to develop empathy in years past, new online qualitative solutions like Digsite enable innovative organizations to quickly and affordably find out not only what your customers are thinking—but why they are thinking it. Based on their feedback, you can develop additional questions and continue drilling down into their thought process, moving from problem definition through the process of building your complete solution. And since this feedback can be collected in both group and private settings, you’ll get a comprehensive and unbiased view on the customer perspective. 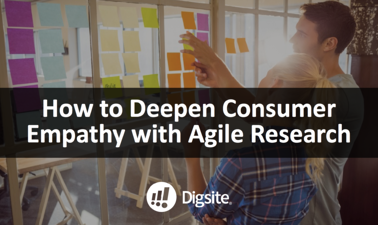 To learn more about how you can deepen consumer empathy with agile research, check out this recorded webinar hosted by Digsite CEO Monika Wingate.